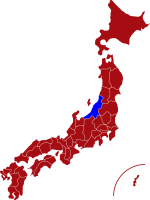 Niigata prefecture is located on the northwestern coast of Japan and is less than two hours from Tokyo by Shinkansen (bullet train). 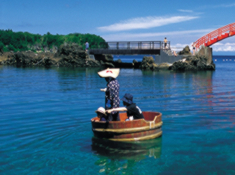 The prefecture is blessed with an amazing coastline facing the Sea of Japan and a magnificent mountain range, making it an extremely popular destination throughout the year for its beautiful white sandy beaches and many wonderful ski resorts. 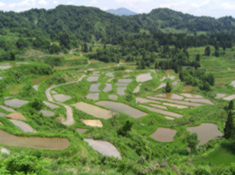 Niigata is famous for producing many high quality different types of sake (Japanese rice wine) and offers the opportunity for visitors to see how sake is made and to sample some the beautiful wines. The prefecture also has many wonderful hot spring resorts with both indoor and outdoor bathing facilities, some dating back over 1,300 years, where you can relax and enjoy uninterrupted views of the stunning mountain scenery. For more information about Niigata prefecture, see their official tourism website. Air - Niigata airport is located a short bus ride from the centre of Niigata city centre. The airport operates flights to and from Tokyo, Nagoya, Osaka, Sapporo, Fukuoka and Okinawa. The flight time from Tokyo is just over one hour. Click here for its English website. Rail - The main station is Niigata station. There are regular "bullet trains" from Tokyo and the journey time is two hours and ten minutes. 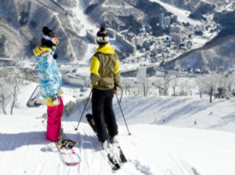 Naeba Ski Resort is one of the most famous ski resorts in Japan and attracts ski and snowboard enthusiasts from all over the world.